Affordable Transmission Repair Right Here in Houston! Thunderbolt Engines and Transmissions in Houston offers affordable transmission repair with top notch customer service. At Thunderbolt, we rebuild engines, transmissions, marine engines, cylinder heads and more. Our services are renowned among Houstonians and surrounding areas alike. 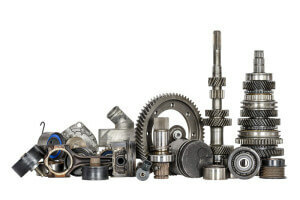 We’ve got more experience providing high quality transmission repairs and remanufacturing transmissions than any other company in Houston as well. Come see the largest in stock inventory of transmissions in the area. We are proud to be locally based inside the 610 loop off of Harrisburg in Houston, TX. Our skilled staff has been around for over 85 years to date and has the knowledge to get the job done right the first time. Learn more about the longstanding Thunderbolt Heritage. Affordable Transmission Repair? Is Their Such A Thing? Thunderbolt also knows and understands that affordable transmission repairs are often hard to find. When your engine is down you feel like every mechanic wants to walk all over you with the repair costs. Not here. TBolt has the honesty and hard working endurance to bring you 100% competitive pricing on any of your affordable transmission repair needs! Not to mention, transmission problems always seem to arise at the most inconvenient times that they possibly can. What if I can’t get my car to the shop? One of the hardest things to do during a transmission problem experience is to get your vehicle to the shop. That in mind, Thunderbolt also offers a towing service for your transmission repair needs. We’re here to help make this process as easy and affordable as possible so you can get back on the road. You can look here at Average Towing Costs to get the general idea of why it’s a hassle. Who has $300 to throw away? We want to take away that problem. If you decide to go with Thunderbolt for your transmission repair job, we will come get your vehicle for you! Locally here in the Houston area of course, and some restrictions may apply. 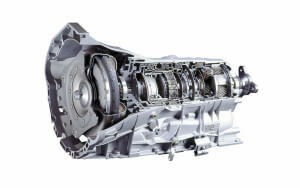 We’ll work with you and your needs to bring you affordable transmission repair in the most timely manner. Don’t give up on your car just yet. Professional repair is right around the corner. How can the repairs be that affordable? With our level of experience and professional work, we offer the most competitive pricing in the Houston area. We didn’t get this good at transmission repair by cutting through our Houston customer’s wallets. We take pride in our engine work and we’re more than happy to offer you affordable transmission repair Houston! Not only do you get the highest quality of repair work, but you’ll get the best pricing around. It’s what we aim for and why we keep doing the best engine repair around. Good business is great news for everyone in Houston. Let us know how we can help get your vehicle up and running today. Give our team of transmission experts a call today to discuss your needs for affordable transmission repair. We know we can find an affordable solution for you. Thank you for visiting our website! Yee-Haw!